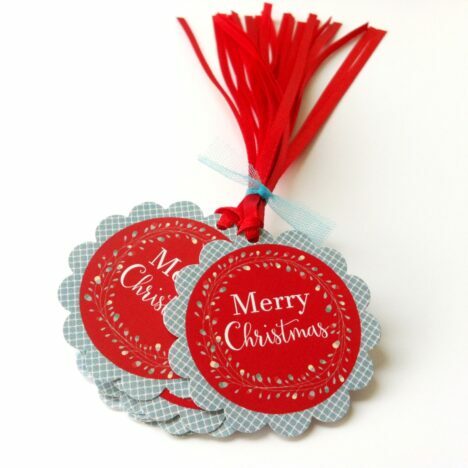 In each set of this listing, you will receive 12 (twelve) Red and Blue Merry Christmas Holiday Gift Tags, pre-strung with bright red ribbon for your convenience. 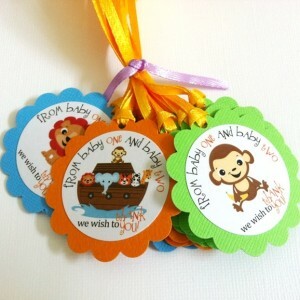 All you need to do is tie them to your thoughtful and wonderful wrapped gifts. 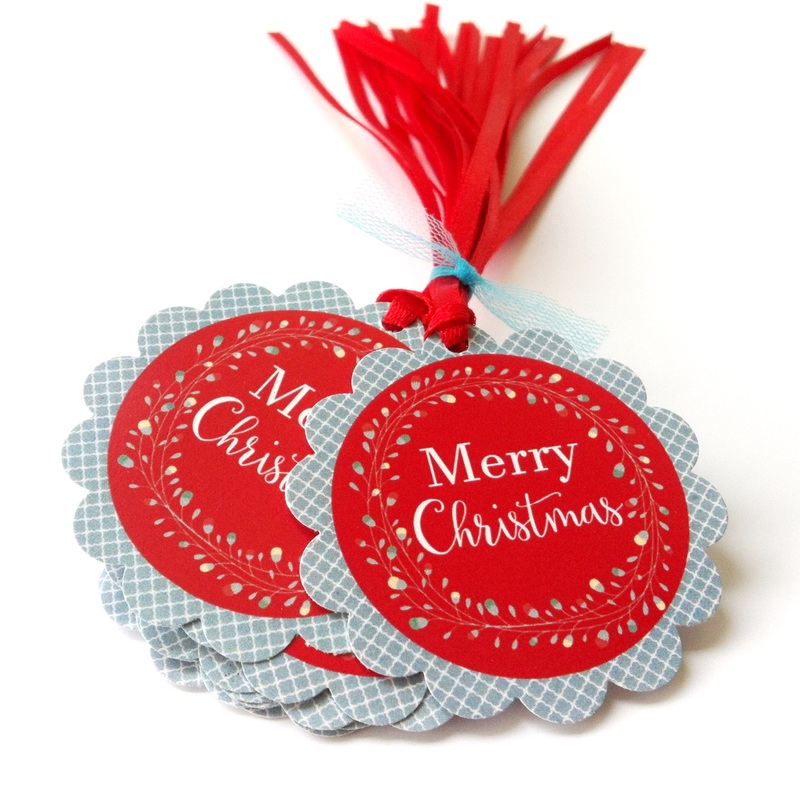 Add this modern tag as a final touch to each gift. 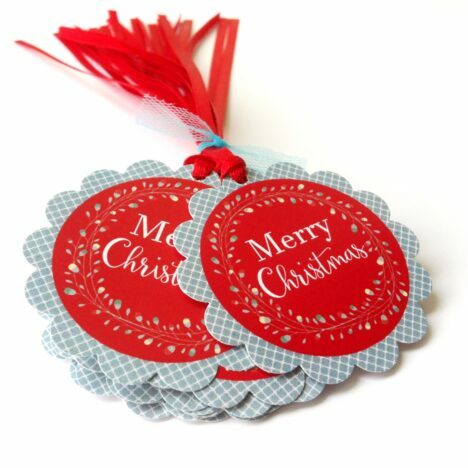 Each tag has Merry Christmas phrase in the center with pretty wreath around it. 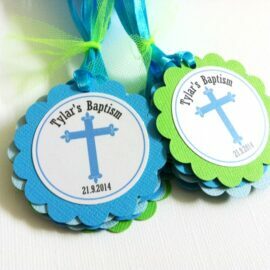 The blue and white border adds elegance to it. 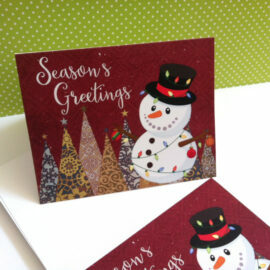 The red circle where the image and text are certainly makes the tag pops out. 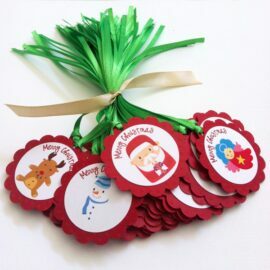 You will not get these beautiful Holiday gift tags anywhere else. 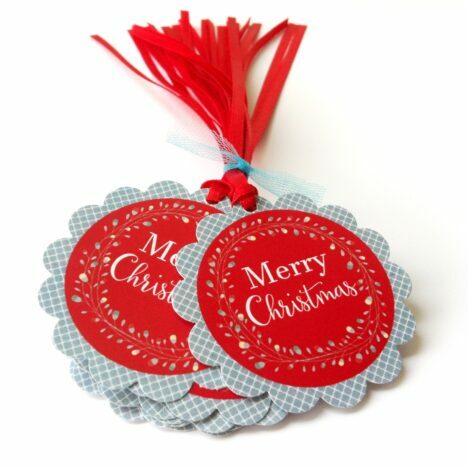 They definitely will make your gifts extra special! 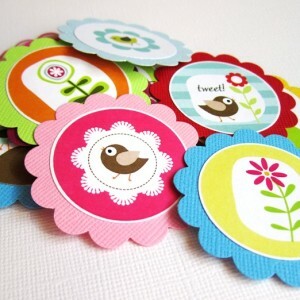 Our tags are printed professionally on glossy cardstock. 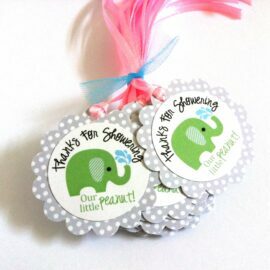 Are you looking for party decorations that compliment these Tags?